Status: last updated: March 21, 2016. Currently this project is in development. The print version is in the proof stage. We estimate it will be ready for production at the end of April. The eBook will follow later this year. Read on below for further description and check back here for more details about this upcoming publication. Despite those words, Wesley realized that in its entirety the BCP needed to be modified to fit the practices of the Methodists society, especially for those congregants living abroad in the new frontier. In 1784 he published this version to be considered for use in the parishes of the Continental US. 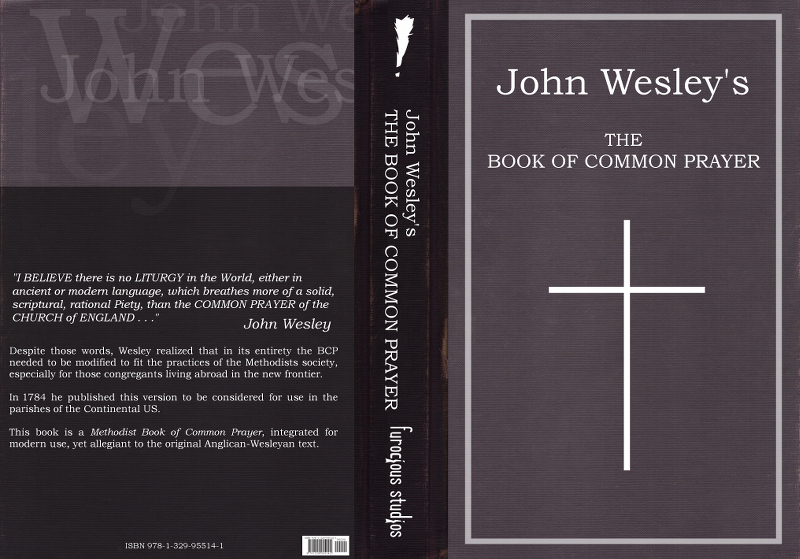 This book is a Methodist Book of Common Prayer, integrated for modern use, yet allegiant to the original Anglican-Wesleyan text.